So I bet (hope) are you now all hearing “It’s raining men, hallelujah….” I really loved dancing to that back in the day. But rain is the reason for the sudden and long overdue flurry of activity. It has finally rained after a couple of truly awful weeks of 40C+ temps. And on top of the heat, every afternoon we have had lots of dark clouds and thunder leading to high hopes of the glorious relief that a thunderstorm brings. Only to have those hopes dashed… seriously, it has been emotionally draining. And way too hot to sew, to blog or to do just about anything but lie in a puddle of sweat moaning about the heat. There is so much to catch up on. 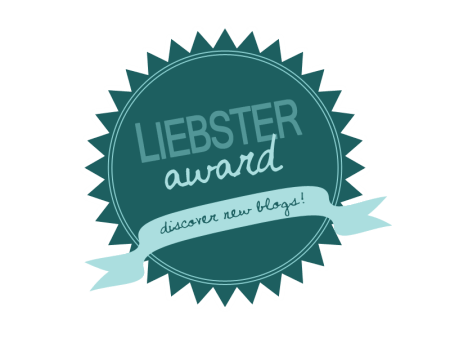 The very kind Lyric from Sewcroandquilt has nominated me for a Liebster award. And I will do a proper post with everything about that soon but I didn’t want to leave it any longer to at least express my gratitude. I am tickled pink. In the meantime, why don’t you pop over and check out her blog. It was also Fashion Revolution Day and yes I missed that too. I had really wanted to participate but figured that wearing my sarong inside out around the house wasn’t going to be much of a contribution. I did think it was interesting though how many sewists mentioned that they would like to know more about where their fabric comes from. This is something that interests me greatly and something I have been trying to gather more information on so I hope to have more posts on that in the future. However, in the meantime all the fabrics listed as handwoven in my etsy shop (there is a link in the sidebar) are generally produced by women working in their own homes. This also allows them to take care of children and other family members, which is very important in a country with basically no social welfare system. These women work for themselves although often under the auspices of OTOP which is a government program to support locally made products. This program provides an opportunity to sell and market products collectively even though they are often made by individuals in their own homes. 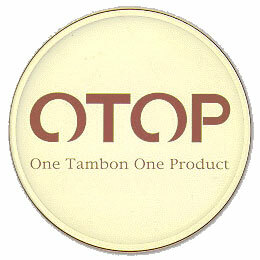 As well as the immediate benefits for communities through the sales of local products, the OTOP initiative has halted, and in many cases reversed, the decline in many traditional crafts and skills. So definitely a worthwhile initiative which I am in no way affiliated with except that it allows me to buy truly beautiful fabrics knowing that they were created locally and without exploitation. In totally non-sewing related news, one of my orchids flowered. Yay!!! 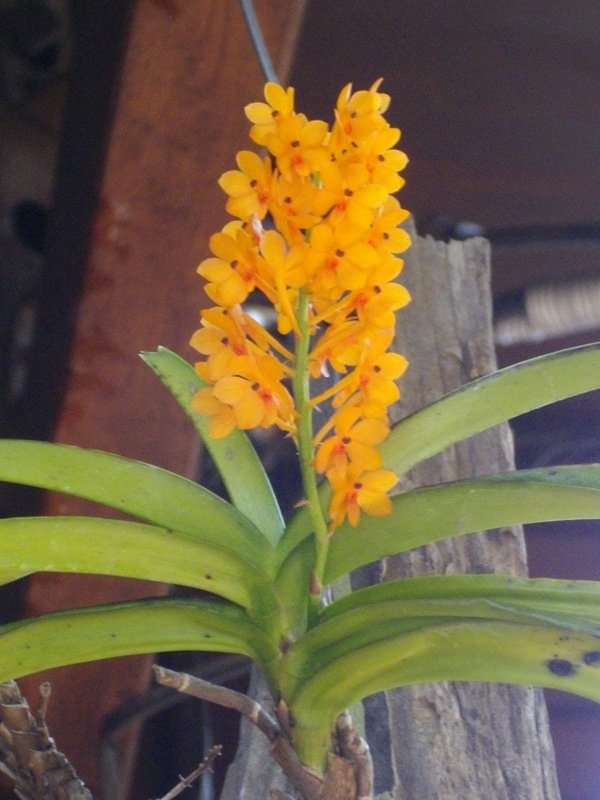 I love orchids and have a few. They all seem to grow really well but some of them (mostly the more unusual ones) don’t flower very often or at least they don’t for me. So I am fairly stoked by this, plus another will be flowering in a few days. This makes me happy. As I mentioned earlier this infernal heat has effectively prevented sewing since I discovered that I was leaving sweat stains as I went. So I am hoping to jump back in to that today. But this does mean that April’s Make a Garment a Month will not be finished on time. But I am still hopeful for only a few days late if all goes well. And seriously is it really May already? I hope to be back soon with some actual sewing….. Yes, let's hear it for thunderstorms!!! Glad you like the fabric. If you do decide to order anything be sure to convo me first for shipping to Singapore – I'm guessing it will be a lot less than shown.